DON’T IGNORE THIS GUTTER PROBLEM! WE CLEAN GUTTERS LLC is able to repair or replace gutters ruined from ice damming. 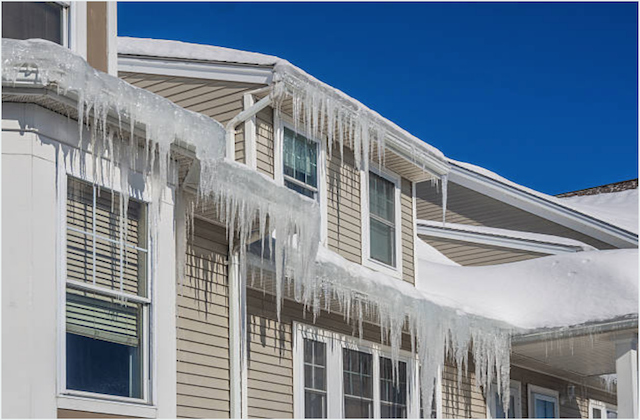 Ice damming is a very common problem for homes in Southeastern Wisconsin due to the snow and freezing temperatures throughout the winter months. An ice dam forms after snow accumulates on the slanted roof of a home that does not have proper ventilation and insulation in its attic. Soon, melted water will stream from under the snow and pool and then freeze in the gutter channels. 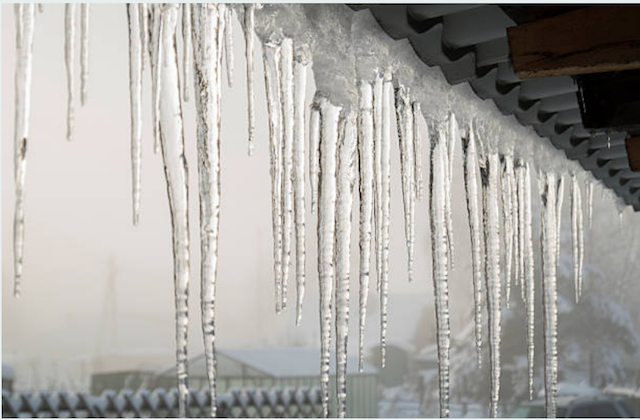 Icicles will form and hang over the roof as a visible sign of ice damming. The water will press against the roof shingles and then lift them allowing the water to then seep into the roof and eventually into the attic. This then leads to bulging in the ceiling and potential leaks inside of a home where further damage can occur. 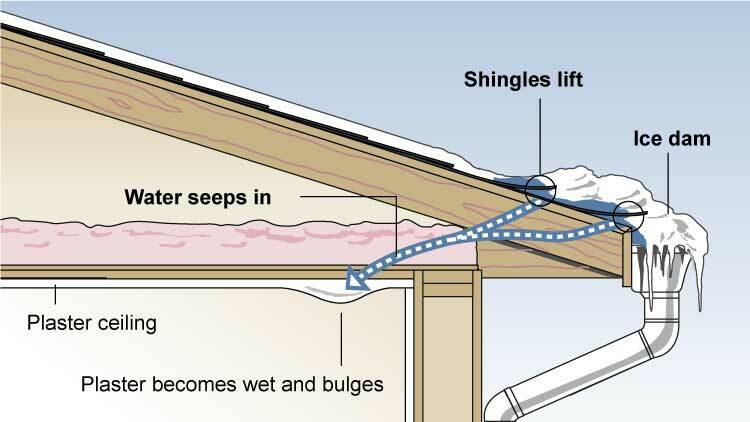 The Spruce explains that depending on the full impact of ice damming, a homeowner could have to repair their gutters, roof, attic insulation, rotted wood, cracked or torn drywall and then repaint the ceiling. WE CLEAN GUTTERS LLC offers a temporary solution to eliminate ice damming and repair impacted gutters. Our technicians are able to remove snow from the slanted portion of the roof and then “cut” a channel in the ice dam to allow the melted water to drain again. Depending the extent of the damage, it might require that we replace some sections of gutter. Learn more here. This is just a temporary solution. Ultimately, a homeowner will need to improve the insulation and ventilation in their attic and then possibly repair or replace their roof and shingles. For this, we recommend hiring a licensed roofer or home contractor in Wisconsin. ICE DAMS ON YOUR GUTTERS?